Everybody knows that they need to Stand Out against the competition, and do things a little bit differently to get noticed and talked about, but The Hippo Campus tells you exactly how. This book not only shows you how to Stand Out and become a remarkable company, with raving fans but gives you a step by step process of how to do it for yourself. In a digital age, when we are competing against the noise (both online and offline) and against the world, our two highest assets are attention and trust, spread through word of mouth. These can both be achieved in high quantities by being a remarkable company. 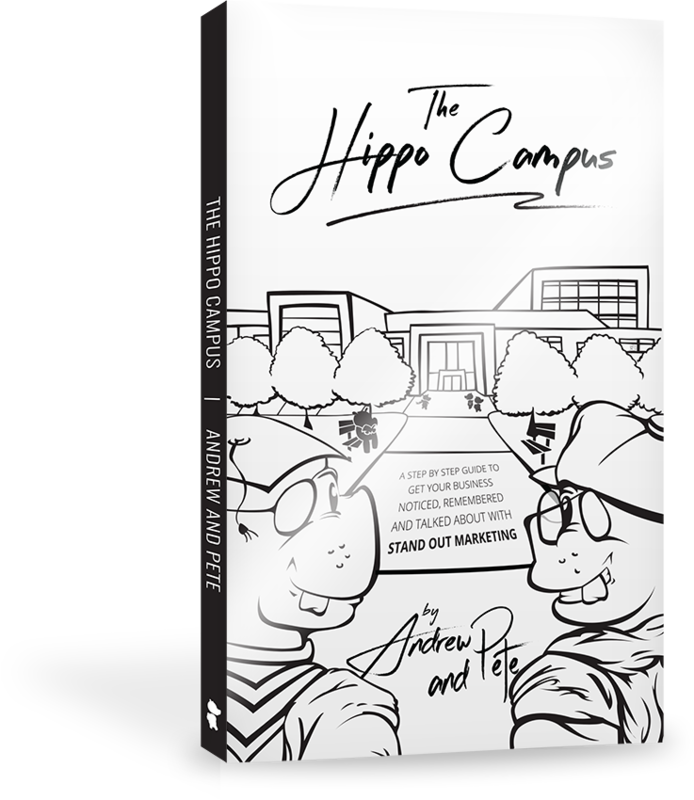 Everybody who buys the book also gets access to further learning materials, to put into practice the principles of The Hippo Campus. This is updated regularly, packed with more examples, templates, video content and a certificate to download once you have completed the book.